nitrocaster wrote: You seem to get it now. They remove the frame from the LCD. Oooh, now it makes sense. Guess I'll have fun doing it tonight. boutch55555 wrote: Guess I'll have fun doing it tonight. Did you ever disassemble a panel? Without the frame it becomes fragile and the risk of damaging the matrix or the foils is very likely. If this is your first time I'd recommend you to practice with an old crappy panel. x3o2 wrote: Without the frame it becomes fragile and the risk of damaging the matrix or the foils is very likely. Without the frame it literally falls apart, collecting dust and other crap lying around. Spanish orders are also delayed. There's nothing we can do but wait. Should not be a problem disassembling the panel, did a couple a few years ago, nothing quite like that though. Any idea how they made that side ? I didn't remove the cover yet, so I don't know if I can just bend it. Where do you see a power rail? nitrocaster wrote: Where do you see a power rail? The copper lane, it seems to connect at 2 places on the right side. I guess that is an array of thin traces. Could you take another picture? nitrocaster wrote: I guess that is an array of thin traces. Could you take another picture? That's what I feared. I'll try to find my macro lens after work tonight. Further down the rabbit hole. With ~1mm possible on the left, it will probably fit. But it doesn't quite match the pictures from the other one. The x330 looks like it has a 01 or 02 with the board at the bottom instead of a 03 with board on the back. I'll also try to source a 08 to toy with since it's rated 301.96mm instead of 305.2. "Arrived at the customs of USA"
boutch55555 wrote: With ~1mm possible on the left, it will probably fit. But it doesn't quite match the pictures from the other one. The x330 looks like it has a 01 or 02 with the board at the bottom instead of a 03 with board on the back. I'll also try to source a 08 to toy with since it's rated 301.96mm instead of 305.2. In the german TP Forum a curious owner of the X330 wanted to have a look on how the chinese fitted the 13'' panel into the lid, lifted the dispay bezel, took some pics. 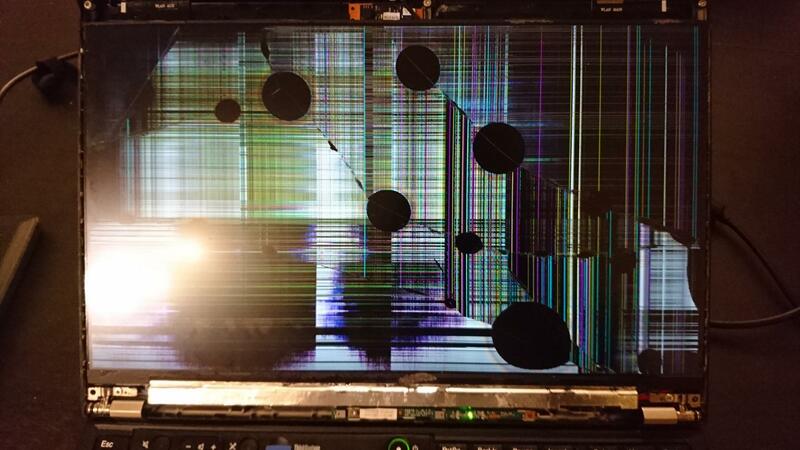 After that he started the X330 and the display was wrecked as shown here earlier. The force necessary for lifting the bezel ruined the panel! So he ordered another Sharp LQ133M1, this time the '02' version. To make it fit he worked the lid with a dremel, he didn't mention any adjustments to the display itself. Now the display fits and is even brighter than the one the X330 came with (which should have been the '03'). dogeitrade wrote: "Arrived at the customs of USA"
Would you mind showing us a picture with the 'real' text? www.pochta.ru wrote: If the information has not been updated for a long time, please, check how you may, apply for search. Mine still shows the same (since dec 30), but just got home to a paper from Canada Post. The tracking # on their site says tracking is unavailable for the shipping method, but the delivery notice # gives back the correct tracking #. So I should have it in 1-2h,once they sort it. Status on Russia Post isn't accurate in my case. There is hope. x3o2 wrote: In the german TP Forum a curious owner of the X330 wanted to have a look on how the chinese fitted the 13'' panel into the lid, lifted the dispay bezel, took some pics. So that's where those pictures came from! Still no picture from the back confirming the exact model, it's all faith in a Reddit comment. But if you look at the bottom of the cracked panel it looks nowhere near my 03. I doubt it's possible to bring the board on the bottom on a 03 as the flex ribbons to the lcd would be way too long. That might be because the original used a 01, rated 300 cd/m2 while the 02 is 330 cd/m2 according to panelook. So, yeah, I just ordered a 02, we'll see in ~2 weeks. 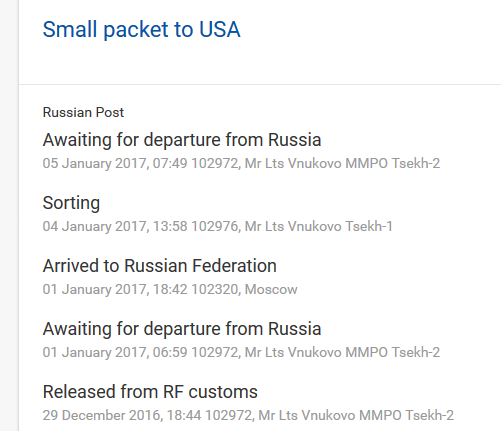 Guess a number of us are all getting antsy at the Russian Post's dawdling. Been waiting a bit more than 5 years for this, thanks nitro ! Anyone here trying this mod to use with hackintosh? As i know x220 is fully hackintoshable ultrabook, with almost everything works even in sierra hack. iclazz wrote: Anyone here trying this mod to use with hackintosh? I just quickly tried to boot into Sierra, but was met with a black screen instead of login prompt. I've read somewhere that you can add screen resolutions to some kext, but I haven't investigated it further. When switching back to the old panel, it works as expected however, so hopefully it would be enough to modify kext. just read through the whole thread, really impressive work you did there! It has been asked a couple of times if you are planning to do a 4lane mod to support higher resolution screens. From what I understand, you are not opposed to this, provided there is enough interest. Could this new mod made to work with different thinkpads, maybe including T420, T520 and W520? 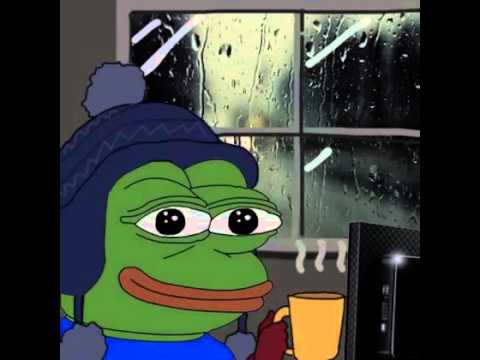 I own a W520 myself and just upgraded it to an IvyBridge CPU using coreboot. Obviously, the next thing to upgrade would be the screen to QHD+. but maybe that can be overcome with just using different cables. I would be very interested and I'm sure others are, too. I would understand if you're not interested, in which case I would be thankful for any kind of ressources and information you can share. la0011 wrote: Could this new mod made to work with different thinkpads, maybe including T420, T520 and W520? My friend is currently working on the kit for T420s/T430s and we have some plans for T420/T430 too (I hope he will make an announcement soon). However, we have not considered T520/T530 and W520/W530 yet. If there's a demand for 15" models, I'll consider making the kit. I can ask around in the W/T520 subforums if you like? QHD+ should be possible even with HD3000/4000 and over Displayport 1.1, at least at 50Hz. Iguess only T/W530 and T430 can go higher due to Displayport 1.2.
la0011 wrote: QHD+ should be possible even with HD3000/4000 and over Displayport 1.1, at least at 50Hz. Iguess only T/W530 and T430 can go higher due to Displayport 1.2. Large resolutions are only possible by stealing one DisplayPort from docking connector with all related issues. FHD and WQHD panels can be driven using an LVDS to eDP converter, which is a perfect solution. Ok cool, I'll ask around then. FHD is pretty much standard for the T/W520 and I'm not aware of any 15.6" QHD panels, so QHD+ is the closest match. I considered LVDS to eDP converters, but according to the W520 (Wistron Kendo 3 WS) schematics p.26, only three LVDS lanes are available. So your mod seems to be the only option. I might be wrong though. Potentially loosing Displayport from the dock connector is not a big deal I think, there's still the external DP connector. la0011 wrote: I considered LVDS to eDP converters, but according to the W520 (Wistron Kendo 3 WS) schematics p.26, only three LVDS lanes are available. It has dual channel LVDS (with 6 data pairs though) which provides 5.67Gbps of bandwidth. That's enough for WQHD, but 4K would require DisplayPort 1.2 which was introduced in W530 IIRC. Also, I'm not sure if Quardo 2000M does support 4K.